I had a lot of photos to squeeze in this week. Next week I’m going to try to do something different with 3×4’s as I find if I have too many of them my layout looks more like a disorganised photo album than what is essentially a photo journal. I might try simply adding some white space around them. 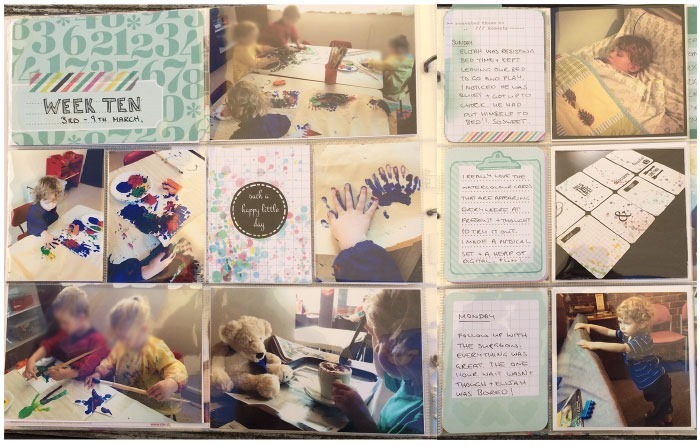 I put a lot of journaling on the insert to try add some white space. Still using my own handwriting and plan to continue. The splattery cards are mine. You can download my digital ones on this site. 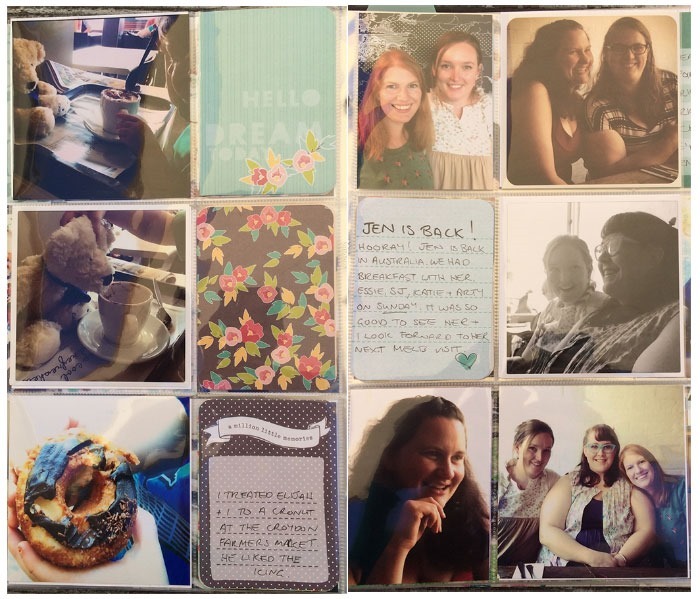 I used two inserts this week as I had a tonne of mine, and friend’s Instagram photos to include as our lovely friend Jen is back from overseas, so this needed to be celebrated. It wasn’t all rosy this week though as I ended up in ED with a nasty virus. They were cautious given my recent surgery, and fortunately all was well. I journaled about that in the bi-fold card at top left. 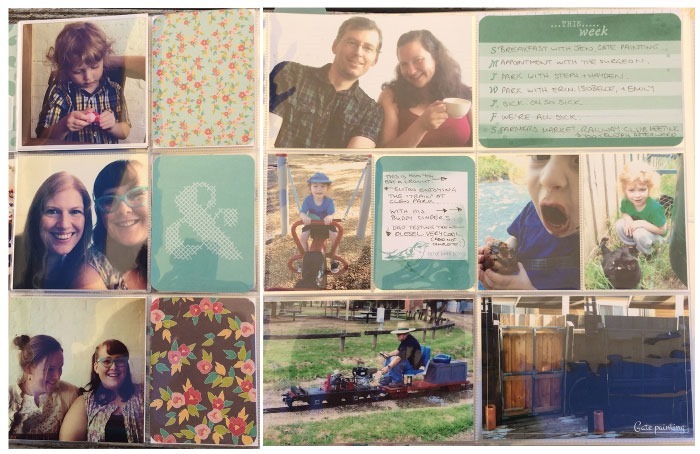 Jen and I both have a love of teal, so I thought the teal cards from the 5th and Frolic core kit were perfect this week.